I am again teaching my course on terrorism and political violence, and so I’m bringing back to the blog my “This Week in Terrorism History” series that I first ran back in the fall of 2016. As I noted in the post introducing that series, one of the points that I try to impress upon my students is that, as a form of political action, terrorism has been around for far longer than our current post-9/11 awareness would lead most Americans to acknowledge. This weekly feature is intended to highlight some of that history. The information will mostly be taken from the National Counterterrorism Center’s 2016 counterterrorism calendar. Unfortunately, I still have to use the 2016 calendar since the Trump Administration’s NCTC has failed to produce calendars, which previous administrations had published annually since 2003, for either 2017 or 2018. Somewhat interestingly, you can still find reference to the calendar buried deep inside the NCTC website. There’s just nothing there. Instead it’s been replaced by a “historical timeline” of incidents, nearly all of which were perpetrated by Middle Eastern or Islamist groups. There’s probably a metaphor hiding in that detail somewhere. Because I also have a long-standing interest in political violence in Northern Ireland, I will occasionally add events or incidents taken from the chronology maintained by the CAIN project at the University of Ulster. I will also draw on other resources, like data collected and reported by the Southern Poverty Law Center, like this report, this one, and this one, to try to address some of the failings in the NCTC calendar. More on that below. Before moving on, let me say a little about the limitations and built-in biases in the NCTC calendar. First, there is an automatic tilt toward recounting incidents targeting either the United States, US citizens, or US allies. This is an especially egregious feature of the new timeline feature mentioned above, and one more reason why I won’t be drawing from it. Second, there is a tendency to focus on incidents perpetrated by groups whose ideologies and motivations are seen as currently threatening to the United States, or by groups that have some kind of historical connection to present security challenges facing the US. Together, these first two biases mean that there is an over-representation of incidents attributed to groups espousing an Islamist ideology. Third, there is a tendency to emphasize acts of transnational terrorism targeting the US or US interests over acts of domestic terrorism within the United States that lack some sort of transnational link, either ideological or material. This despite the reality that the vast majority of terrorist incidents the United States has suffered historically, and the primary threat of terrorism confronting the US today, comes from domestic groups, mainly but not exclusively, on the far right of the political spectrum. This is why I’ll be including the SPLC material. Finally, when there are multiple incidents for any given date, I will try to choose examples that run counter to the biases discussed above to show some the wider geographical, ideological, or operational diversity that we see when we consider terrorism as a global phenomenon. Despite all these caveats, there is value in keeping in mind the reality that as much as Americans might think that terrorism is a new phenomenon, or tend to see ourselves as uniquely at risk, terrorism has been with us for a very long time, is likely to be with us for a long time to come, and there are countries that have faced far worse, for far longer, than what we face today. With all that in mind, here we go. Jan. 8, 2003 — Chicago: Matt Hale, leader of the neo-Nazi World Church of the Creator, is arrested and charged with soliciting the murder of a federal judge whom he had publicly vilified as someone bent on the destruction of his group. Hale is subsequently convicted and sentenced to 40 years in federal prison. Jan. 9, 2015 — Paris: Four are killed in an attack on a deli. ISIS claims responsibility one month later. Jan. 10, 2013 — Pakistan: Bombings in the cities of Quetta and Mingaora kill 115. Lashkar-e-Jhangvi and the United Baluch Army claim responsibility. 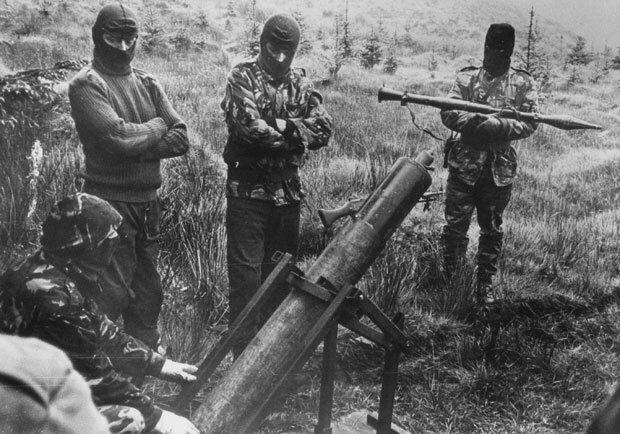 Jan. 11, 1997 — Northern Ireland: The Irish Republican Army carries out a mortar attack on a Royal Ulster Constabulary station in Fermanagh. Jan. 12, 2007 — Greece: A rocket-propelled grenade attack is carried out against the US embassy in Athens; Revolutionary Struggle claims responsibility. Jan. 13, 1987 — West Germany: Mohammed Ali Hamadei, a member of Hezbollah, is arrested at the Frankfurt airport and charged with the 1985 hijacking of a TWA airliner and murder of a passenger. Sentenced to life in prison, he was released in 2005 and is believed to reside in Lebanon. Jan. 14, 2011 — Arizona: Jeffery Harbin, a member of the neo-Nazi National Socialist Movement, is arrested for building homemade grenades and pipe bombs which he had intended to supply to anti-immigrant militia groups patrolling the Arizona-Mexico border.